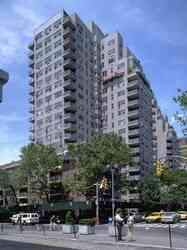 2 Fifth Avenue, a 20-story mid-century landmark, rises over the north side of Washington Square Park sitting on the west side of Fifth Avenue between Washington Square North and West 8th Street. Designed by architects Emery Roth and Sons for builder Samuel Rudin, the building was completed and first occupied in 1951. The main entrance to the building is via a semi-circular driveway located mid-block on Fifth Avenue. The rest, a low, five-story red brick portion facing Washington Square, was designed in scale with the row of townhouses adjoining the building to the west. Please submit Cover Letter along with package. Please refer to the attached document for more information. Please upload Personal Introduction Letter from Applicant(s) to the Board. Please complete Financial Statement (enclosed). Please upload the past two (2) months of statements (bank, brokerage, retirement account etc.) supporting each liquid asset claimed on the Financial Statement. Please upload each applicants most recently filed Federal Income Tax Return, inclusive of all W-2/1099 statements and schedules, and the first two (2) pages of the prior two (2) years Federal Income Tax Returns and W-2/1099 statements. Please upload four (4) recent and consecutive Pay Stubs for each applicant. Please upload Landlord/Managing Agent Reference Letter speaking to monthly charges, length of occupancy and referees contact information. If you currently own a home please provide proof of ownership and a statement speaking to your plans for that residence. Please upload Employment Verification Letter stating position, salary, length of employment, likelihood of continued employment and supervisor/HR contact information. If self-employed, please provide a letter from your CPA stating past and anticipated annual income, business financial statement, tax returns for the past three (3) years and supplier credit references. Please complete Credit Report/Background Search Authorization Forms (enclosed). Please complete Applicant's Release Form (enclosed). Please complete Co-Op Tax Abatement Letter (enclosed). Please complete Lead Based Paint Disclosure Forms (enclosed). EPA Lead Pamphlet enclosed for informational purposes. Please complete Liability Waiver for Self Moves (enclosed). Please complete Window Guard Notice (enclosed). Please complete Bed Bug Acknowledgement (enclosed). If Financing, please upload: 1) Loan Application. 2) Letter of Commitment. 3) Three (3) Aztech Recognition Agreements signed by an officer of the lending institution and the applicant. Please upload Letter from the Shareholder describing the reason for the requested sublease and any intention to resume residency. Please upload Letter from the Shareholder's Lender consenting to the sublease or a letter from the Shareholder certifying that there is no financing on the apartment. 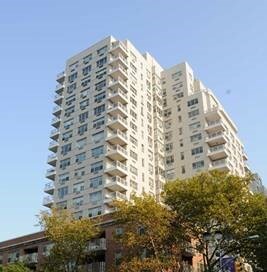 Please complete Fully Executed Sublease Agreement (Blumberg Form 193 only). Must be signed by both subtenant/sand shareholder/s (enclosed). Please complete Financial Statement (enclosed) and upload the past two (2) months of statements (bank, brokerage, retirement account etc.) supporting each liquid asset claimed on the Financial Statement. Please upload four (4) recent consecutive Pay Stubs for each applicant. Please upload all applicants' most recently filed two (2) years of Federal and State Income Tax Returns complete with W-2/1099 statements and any schedules. Please upload three (3) Personal Letters of Reference for each applicant. Please upload Employment Verification Letter stating position, salary, length of employment, likelihood of continued employment and supervisor/HR contact information. If self-employed please provide a letter from your CPA stating past and anticipated annual income, business financial statement, tax returns for the past three years and supplier credit references. Please submit Cover Letter along with package. Please refer to the first section in the attached file for more information. Current mortgage statement showing the terms of the current loan. Please submit Cover Letter along with package. Please refer to the second section in the attached file for more information. Letter from the shareholder explain the reason for the financing request. Please upload Financial Statement including the two most recent statements (bank, brokerage, retirement account etc.) supporting each liquid asset claimed. Credit Report Authorization Form (enclosed). Most recently filed Federal Income Tax Return complete with W-2s and all supporting schedules and the first two pages of the previous years 1040. A copy of each applicants most recent paystub. As per Section 16(a) subsection (vii) of the Proprietary Lease a Transfer Tax of 2% of the gross purchase price will be due and payable at closing by either the buyer or seller.